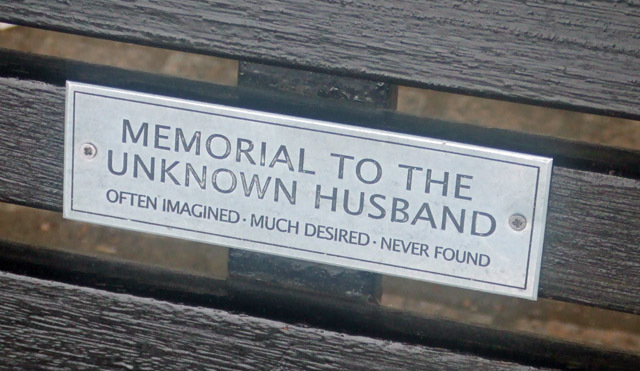 Memorial to the unkown husband. Often imagined, much desired, never found. Another bench dedication this week. Where izzit? And who stuck it there?